Water leaks are one of the most common maintenance issues that often go unnoticed, but require immediate attention. Since they are not so obviously visible like a burst pipe, they usually don't come to surface until significant damage is done. This is why it is recommended to put your plumbing through regular inspection by reputed service provider such as Miami Gardens Emergency Restoration. 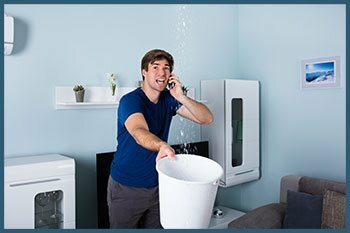 We provide the most comprehensive range of water leak detection services that helps you spot such issues long before it causes expensive damage. Just call us at 786-350-3360 and speak to our experts to know more. Who would have thought a small fault in your house pipes could lead to costly restoration work? We may not think that a dripping roof or a leaky pipe is such a big problem until the water seeps into our walls, leads to mold formation and/or cause damage to electrical fittings. Its impact may not be quick, but slow deterioration of your property is actually much worse! To mitigate such issues and prevent expensive restorative work, it is better to hire water leak detection services that can help identify the problem long before it becomes enormous. At the same time, don't underestimate the damaging effects of poor maintenance that are not usually covered under your insurance policy. The last thing you want is to pay the heavy premium and the restoration costs, without ever enjoying the benefits of the former. But think of all the costs you can avoid by simply detecting the leak earlier? This is the reason we recommend to treat Miami Gardens Emergency Restoration as your one-stop-shop for leak detection services in Miami Gardens, FL area. We can setup a contract with you and perform regular inspection of your property to discover leaks in time..
We don't use any invasive techniques in detection of leaks. Our experts will never dig trenches in your home to find a leaky pipe. We believe in reducing the damage, not increasing it! This is why our clients consult us for regular water leak inspections. They know we will never recommend re-piping your property, when it is clearly not required. We don't want to make our profits at the expense of our clients; we would rather work closely with you and develop solutions that are both acceptable and feasible for you. 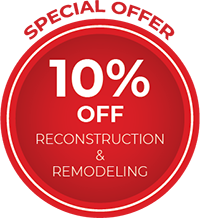 Miami Gardens Emergency Restoration is one and only service provider in Miami Gardens, FL area that will provide you state-of-the-art means to identify water leaks, even if it is buried under layers of flooring. We identify leakages by using snake cameras, thermal imaging, acoustic sensors and moisture detection equipment that allows our technicians to spot the exact spot of the leak. So call our experts today at 786-350-3360 and let us help you keep your property safe!